I had a plan, one FO a day for a couple days. I kept putting it off and now am just putting it all in one post. Probably what i should have done from the beginning. Note: There are 8 motives in the pattern but i got tired of making them after 4. They did make a great travel project for Chicago though. Notes: Added button by slipping it on a knit stitch with a crochet hook in the place i wanted it to be. Notes: I still haven’t decided if i am giving these to them. I crocheted the second one a little tighter and you can tell when you look closely. Yarn: For all of the patterns I used Lily Sugar n’ Cream. I am happy with all of the projects. Even though they are the simplest, the bibs are my favorite. They feel soft and nubbly and if i was a baby i think i would want to squish my bib in my hands all the time. I really hope they like the things i made and use them. I enjoy making the stuff. I really wanted to do a blanket but i thought better of it. 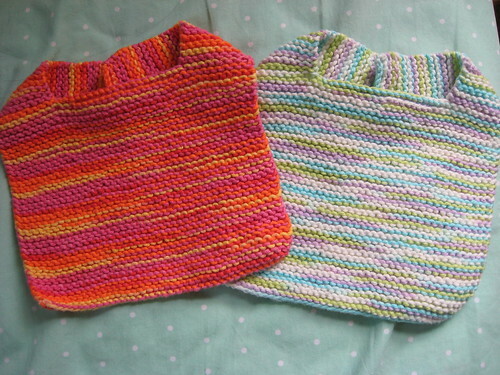 I need some people who i know would cherish a handknit to have babies. Then i could go wild with outfits and blankets and other cute things!!! I have one more baby thing to finish that i started a couple days ago and then i will be all done. It should be done but hubby sidetracked me into making some slippers for him so i am going to finish those tomorrow. So more FO’s coming. Sooner this time, i really want to try and do better with my blogging. Beautiful baby items! The colors are so pretty. What great baby items!! You’ve been might busy!! 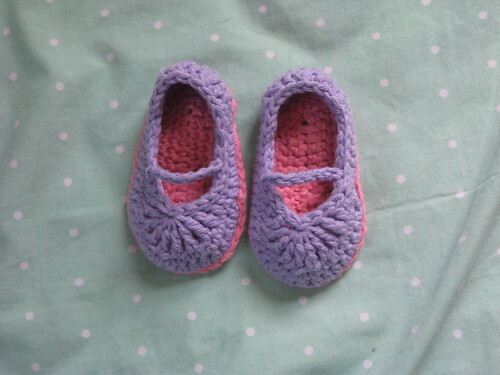 And the booties too cute!! You have a wonderful weekend too My! These are the cutest baby items ever !!! You are so talented !!! Forgot to mention …. 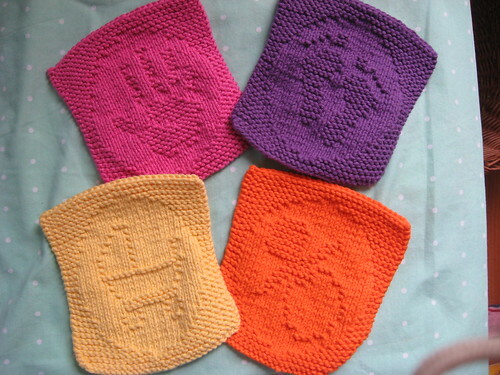 I have the adult size pattern for the Skimmers … they are tooo cute !! !